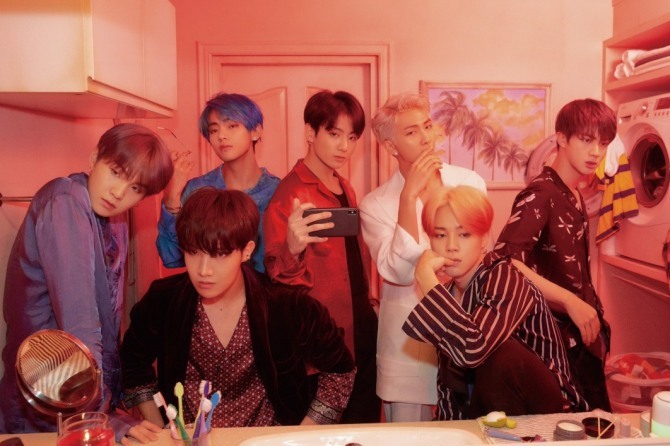 BTS is back with the new album “Map of the Soul: Persona,” beginning a new chapter in its music career with a bang. Featuring seven tracks, the group’s sixth EP is the most preordered and star-studded one yet, with pop heavyweights Ed Sheeran and Halsey on board. It comes nearly eight months after the repackaged album “Love Yourself: Answer,” which wrapped up the band’s “Love Yourself” album trilogy. 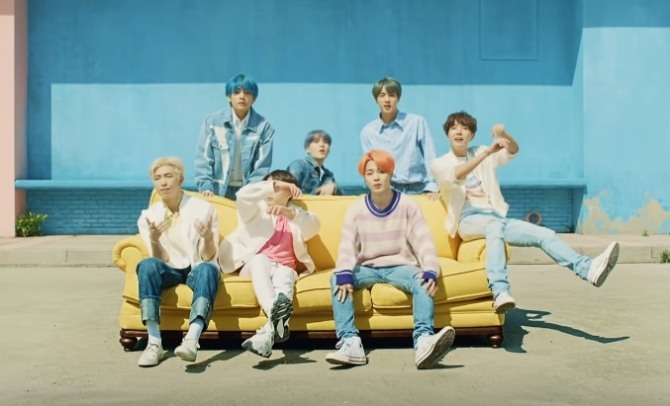 While RM’s solo track “Intro: Persona” hinted at a throwback to the hip-hop sound in the early days, the lead single featuring Halsey is an upbeat electro-pop song with catchy hooks. The video, which features an iconic scene from the 1952 American musical film “Singing in the Rain,” shows the bandmates effortlessly powering through heavily choreographed dance moves while sporting hairdos in eye-popping colors. In one scene, the group dances alongside Halsey on a theater-themed set. In a tweet on Thursday, he called the second teaser for the video “classic and contemporary at the same time” and congratulated the group on its work. Sheeran took part in the making of “Make It Right.” The song has finally made sense of Suga’s tweet in December, when he wrote, “This is for you” while tagging the British singer-songwriter. On Saturday, the group will kick-start its TV promotions on “Saturday Night Live” with actress Emma Stone as a host, followed by a global press conference scheduled in Seoul the following week. The group will also embark on the US leg of its “Love Yourself: Speak Yourself” world tour in May before heading to Brazil, Europe then Japan.